**We do not accept mail at this location. Please direct all correspondence to our Indianapolis address. EMC CPR & Safety Training, LLC offers CPR and AED & First Aid classes throughout the entire state of New Jersey. Do you need to learn CPR in NJ? There are several factors you ought to consider when selecting a CPR course in New Jersey, including the instructors’ experience level and qualifications, class size, student to teacher ratio, and student to manikin ratio. Several different organizations, including the American Heart Association and the Red Cross, offer CPR courses in NJ. Typically, CPR classes are available at local hospitals, fire departments, and community colleges. One of the most important factors to consider when researching your options is a trainer’s certifying agency. The name of the certifying agency should be prominently displayed on a trainer’s marketing materials and website. If you need to learn CPR in NJ because your employer requires it, find out which certifying agencies and CPR courses they recognize. When it comes to CPR courses in New Jersey, small class sizes are better. Smaller classes allow you to get more individual attention and feedback from the instructor. Most agencies require a student to instructor ratio of 12:1 or lower. If you want to learn CPR in NJ and actually retain all of the information, it’s critical that you find a teacher who’s passionate about the subject matter. Passionate teachers make learning CPR fun and memorable, so the information sticks with you long after you leave the classroom. If you’re struggling to pay attention in class because the content is so repetitive and boring, there’s little chance that you’d actually be able to perform CPR effectively in an emergency. For the best results, choose a passionate instructor with a proven track record. When learning CPR in NJ, it’s important to choose an organization with certified, experienced instructors. Find out how long the instructors have been teaching CPR, what their background is, and determine whether they hold a current instructor certification. Some training organizations do not even verify whether their instructors have current instructor certifications, which is simply unacceptable. Most adults learn by doing, so look for CPR courses in NJ with a strong hands-on component. Furthermore, make sure that the student to manikin ratio does not exceed 3:1, so you can get plenty of practice performing chest compressions and mouth-to-mouth resuscitation on the manikin. Are you having a hard time deciding where to learn CPR in NJ? Narrow your options down by asking for and talking to references. Be wary of CPR course providers that are reluctant to provide you with references because it could mean that they don’t have much experience in the field or that they don’t want you to speak with their previous clients for some reason. Talking to references is a great way to determine whether a training company is worth its salt. MC CPR & Safety Training, LLC offers a full spectrum of CPR courses in New Jersey. 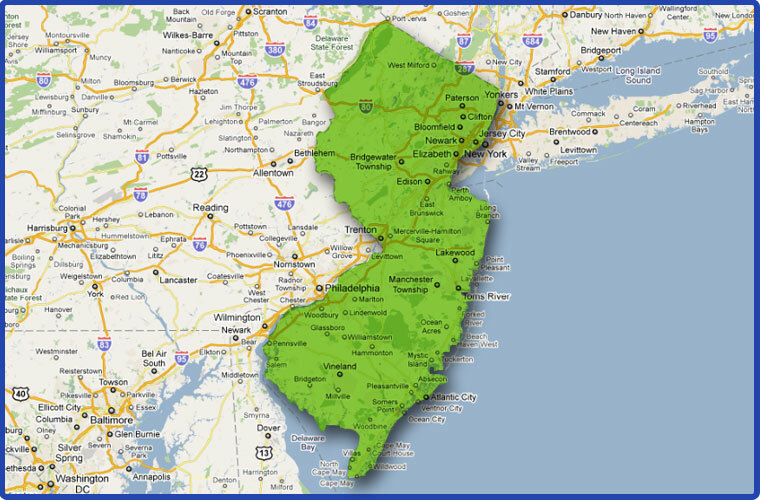 We provide on-site training throughout the entire state, including Newark, Jersey City, Morristown, and Trenton. For more information about our services or to schedule a CPR class in New Jersey, please call 1-800-695-5655 or fill out our online contact form!